Marshall McLuhan suggested that you should choose your reading by turning to page 69 of a book and, if you like it, read it. To test this notion I reached for the closest book at hand. 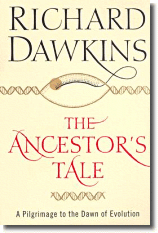 It was Richard Dawkins' The Ancestor's Tale, not the sort of thing that usually dominates my reading time but it happened to be at my side. It is fascinating stuff. Much of the material is (way) over my head and, after an initial surge of straight-on reading past the hundred-page (or so) mark, I've slowed down and now dip into it between novels. Anyway, is page 69 a good place to get a sense of the book? Amazingly enough, it is. The page is in a section of the book headed "ergasts" (for Homo erectus or Homo ergaster or, for those who studied dinosaurs when they still walked the planet, Java Man or Peking Man). Homo ergaster is the first fossil ancestor we have who is unequivocally of a different species from ourselves. Even I, however, have no hope that we shall ever know what they [ie, Homo ergaster] said to each other, or the language in which they said it. Did it begin with pure words and no grammar: the equivalent of an infant babbling nounspeak? Or did grammar come early and--which is not impossible and not even silly--suddenly? Perhaps the capacity for grammar was already deep in the brain, being used for something else like mental planning. Is it even possible that grammar, as applied to communication at least, was the sudden invention of a genius? I doubt it, but in this field I wouldn’t rule anything out with confidence. I'm familiar (or at least used to be superficially familiar) enough with the debate over whether language is innate or learned to be intrigued by this stuff, and the book is chock full of discussions of this sort. Then, still on page 69, Dawkins gets into how some new research using genetic data from a family with an unusual hereditary defect might be used to identify certain parts of the brain involved in language development. At which point I find myself at sea. And all that is reasonably indicative of what the book has so far held in store for me: a few amazing insights and speculation, followed by some science I don't really understand but would like to. McLuhan's test holds up for Dawkins' The Ancestor's Tale, surprisingly enough. Washington read -- n. The perusal of a book in a bookstore that consists of checking the index for references to oneself and reading only those parts of the book. The power elite in Washington openly and gleefully admit to the practice of "the Washington read": it is as if it's a sign of one's power that he (1) has no time to read books but (2) has reason to suspect that he's important enough to be written about and (3) is powerful enough to mock those who might care about what words mean. Owning up to the practice may be honest, but bragging about the Washington read is churlishness masquerading as sophistication. Yet it's not the greatest sin committed by politicians and pundits when it comes to the world of books. Far more cynical is the practice of taking a work of nonfiction and pretending it supports a given policy preference (though it's not as bad as using a work of fiction for support of one's policy). It happens too often, and too infrequently do the media call the politicians--and themselves--on it. I take a closer look at the practice--with actual cases of the abuse--here. Last year Jodie Foster shared some of her favorite books with Oprah's magazine. I wrote my senior essay in college on this book, specifically Morrison's relationship to the African oral-narrative tradition. My favorite passage describes a water stain on a wood table—how that stain takes on new life and meaning with the passage of time and family history. I think Morrison has the most deeply poetic voice in contemporary American fiction, and I have never missed reading anything she's written. When I was about 13, I became very interested in classic Greek tragedies, and I think these represent the best of them. They combine what we'd identify as modern psychology with the concept of destiny. It's impossible to forget these characters—Medea, for instance, who kills her own beloved children when faced with her husband's betrayal. These are stories of such passion. In this collection of autobiographical essays, humanity's wicked little details are seen through the eyes of a truly strange man. Sedaris's observations are sometimes weirdly funny and unexpectedly moving—including his trip of self-discovery to a nudist camp. I read Naked in one sitting and then bought five copies to give to friends. Click here to read about her other favorites. Books have always been my escape—where I go to bury my nose, hone my senses, or play the emotional tourist in a world of my own choosing. I' m a "head first" person, really. Words are my best expressive tool, my favorite shield, my point of entry. One of my first memories? Hunching in the car with Chariots of the Gods, waiting for my mother to drive me to school. When I was growing up, books took me away from my life to a solitary place that didn't feel lonely. They celebrated the outcasts, people who sat on the margins of society contemplating their interiors. When adolescence got scary, I turned to books addictively: Franny and Zooey, The Magus, The Idiot—just 50 more pages and I'll call it a day; just 20 more pages and I can have dessert. Books were my cure for a romanticized unhappiness, for the anxiety of impending adulthood. They were all mine, private islands with secret passwords only the worthy could utter. Walter M. Miller's A Canticle for Leibowitz (after nuclear holocaust, a Jewish husband's shopping list becomes a sacred text). Click here to read the brief article for Sutherland's spur to invention as well as to learn why Schindler's List did not make the list list. For the reader of novels the question is: where to start? 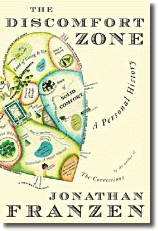 Is there any point in starting, or shaping one's reading experiences? How can one organise a curriculum? Ours is not, like the 1940s, an age of austerity: it is not money - expensive as new hardback novels, quite irrationally, seem - but time that is in short supply. How, then, to find the novels that you do have the time to invest in? As the science-fiction writer Theodore Sturgeon (the original for Kurt Vonnegut's Kilgore Trout) observed: "Ninety per cent of science fiction is crap. But 90 per cent of everything is crap." How can we identify the 10 per cent, or less, of fiction available that is not crap? 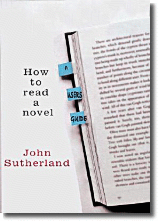 Sutherland says to not judge a book by its cover. Dust jackets, blurbs, shoutlines, critics' commendations ("quote whores", as they are called in the video/DVD business) all jostle for the browser's attention. But I recommend ignoring the hucksters' shouts and applying instead the McLuhan test. Marshall McLuhan, the guru of The Gutenberg Galaxy (1962), recommends that the browser turn to page 69 of any book and read it. If you like that page, buy the book. It works. Rule One, then: browse powerfully and read page 69. To read more of the Sutherland excerpt, click here. Macleans recently canvassed a few writers for some late summer reading recommendations. Nick Hornby, author of High Fidelity and A Long Way Down, offers his favourite novel of the past year or so: "Jess Walter's Citizen Vince. It's funny, dark and ingenious; it convinces you that it knows what it's talking about. And it's actually talking about quite a lot, in an attractively unassuming way. Vince has been relocated from N.Y.C. to Spokane, Wash., under a witness-protection program, and he has to work two things out. The first is why someone's trying to kill him; the second is who he should vote for in the 1980 presidential election. One problem is obviously more pressing, but they are given equal consideration. 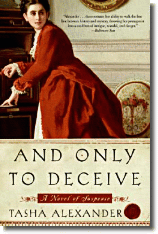 Jess Walter is, I suspect, a novelist to watch." Click here for some other writers' suggestions if you haven't already left for the bookstore. Citizen Vince also earned a nice recommendation from Maureen Corrigan in the Washington Post Book World: "Maybe if Aaron Copland had written the score for a film noir starring the Marx Brothers there would be some prototype for Walter's fusion fiction, but he didn't and there isn't." 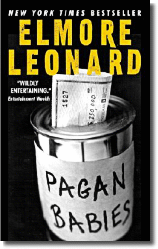 The book won the 2006 Edgar for Best Novel. Also see yesterday's post at "Pete Lit" about the new Nick Hornby book. Ellroy's own summary of his life runs thus: "Boy's mother murdered. Boy's life shattered. Boy grows up homeless alcoholic jailbird. Jailbird cleans up and writes his way to salvation. Jailbird becomes the Mad Dog of American Crime Fiction." Ellroy's fiction is raw, fetid, bloody, brutal and peopled with every type of human scum; it also crackles and zips with a sort of virtual reality glare, the shocking degeneration of his characters matched only by the mesmerising power of his excoriating style. He complains that "French interviewers all insist that I must be in terrible pain to write these dark, awful books. I say no, you don't get it, Froggy, I'm having a blast." Is there a bigger fan of Ellroy's work than this guy? "The Rap Sheet" is ready for Brian De Palma's big screen version of The Black Dahlia. "Self-portrait of the artist as a young jackass..."
In 1915 "[t]he world's youngest Nobel literary laureate, [Rudyard Kipling's] was the authentic voice of empire, whose work beat the drum for the jingoistic spirit of the times," writes Jonathan Brown in the Independent. As the First World War raged in Europe (and still well over a year before the United States would enter the conflict), Kipling used his influence with the highest military officials to get his only son John accepted into the British army. John had already been rejected because of extremely poor eyesight but he, like so many young men of the day, was desperate to serve his country. After his mother Carrie saw John off to war, she wrote in her diary: "There is nothing else to do. The world must be saved from the German ... One can't let one's friends and neighbours' sons be killed in order to save us and our son." He was never able to write directly about John's loss. My Boy Jack is about a sailor--but still a thinly disguised poem about regret and mourning. Shadows of guilt have also been detected in his later work. "If any question why we died/ Tell them, because our fathers lied" is thought to refer to his role in helping his son to bypass the military eyesight rules. Rudyard Kipling lived until January 1936. But father and son live on in the nation's consciousness. If remains Britain's favourite poem. Have You News of my Boy Jack? "Has any one else had word of him?" "Oh, dear, what comfort can I find?" Click here to listen to a recording of "Have You News Of My Boy Jack?" performed as a song by Louis Kirkby-Lunn in 1917. I was never much a fan of Kipling. When it comes to the First World War, I'm a great admirer of Pat Barker's "Regeneration Trilogy" and highly recommend it. Regeneration is the first volume. I already know the title of the first novel of 2007 that I'll read: it's The Blade Itself by Marcus Sakey. "Excellent. 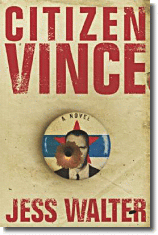 Like vintage Elmore Leonard crossed with classic Dennis Lehane." "A rocket--taut, involving, and memorable. An authentic, original new voice." "Superb. The pace of Tarantino and the elegance of Ellroy." That sounds like my kind of book. And there's more where that came from. I was struck by how many of the authors he name-checked on his site that are also among my favorites: Elmore Leonard, James Ellroy, Lehane, Palahniuk, Cormac McCarthy, Pete Dexter, Ian McEwan, etc etc. These are not only writers I like--these are writers I've read every novel they've written (OK, maybe two or three have slipped by my radar), some three or four times. Something else caught my attention: only one woman writer made Marcus's list--and the one book of hers that I read didn't really strike a chord with me. Now, I don't expect most people who love Ellroy to love Penelope Fitzgerald--in fact, I once posted an item saying just that. But when I think about a fine genre-busting novel like Mystic River, I also think of (say) Patricia Highsmith's great The Talented Mr. Ripley. When I think of Pelecanos' Washington DC, I'm reminded of Laura Lippman just up the highway in Baltimore. 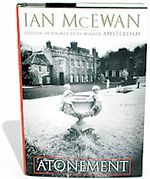 When I think of McEwan--I've posted on the blog my belief that Atonement may be the best novel I've read that was written in the last quarter-century--I'm reminded that I liked Kate Atkinson's Case Histories better than McEwan's Saturday (which I did like). I imparted no significance to Sakey's choices or omissions: I strongly suspected he simply listed only a few of his favorite authors. Then again, maybe his choices fit somewhere in my vague hypothesis about "boy books" and "girl books." [In] answer to your question: You're correct in your assessment that the list on my web site is by no means inclusive. There are plenty of other authors, male and female, whose work thrills and guides me. That said, your question forced me to take a long look at my bookshelf, and I was surprised at the result. While there are plenty of female novelists represented, they're outnumbered about ten to one. It's a ratio I find a little disconcerting, as it wasn't rooted in a conscious decision-- rather, it just seems to have turned out that way. However, when it comes down to it, I do believe that men and women write differently. We also make love differently and view death differently. Neither good or bad. But distinct. When people discover something they enjoy, they want more like it. Thus Dennis Lehane leads to George Pelecanos, or David Foster Wallace leads to David Mitchell. And because there are stylistic differences in the way the genders write, it's easy to end up with an imbalanced shelf. I guess I'm forced to admit that by and large, I prefer the way men write. Topically, my tastes span the gamut, from Pynchon's meandering post-modernism to Cormac McCarthy's testosterone-drenched fatalism, but with me, the odds favor male writers. However, there are plenty of female authors whose work amazes me. 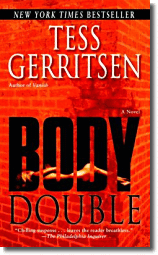 I think Tess Gerritsen is one of the finest thriller novelists working today, a master of tension and pace who writes like the devil. Laura Lippman's books are possessed of a subtle understanding of emotional architecture that leaves me breathless. 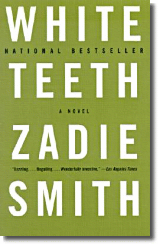 Reading Zadie Smith is like lighting off bottle rockets from your couch. My friend Tasha Alexander crafts luminous prose that charms and enchants. 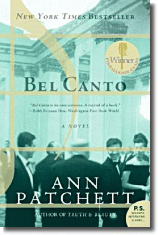 I powered through Ann Patchett's Bel Canto in one long session, begrudging every bathroom break. While men may have the statistical advantage, they by no means own the game. What a wonderful answer: not only does it solve my mini-mystery and say something interesting about the way we read and write, but there are some great recommendations for reading there. Also, there's an invitation to others to let us know if your literary taste splits on gender lines. You can contact me at bolling dot binx at gmail dot com or visit Marcus at "The Outfit" or his home site. He happens to have some very helpful advice for writers at both places. Many thanks to Marcus for the input. The Blade Itself is due in January 2007: read an excerpt here. I recently took a stab at suggesting a novel for Americans visiting Japan, if only between book covers. Kyoko Mori does a more thorough job with that objective than I did. She is the author of three novels (Shizuko's Daughter, One Bird, Stone Field, True Arrow) and two nonfiction books (The Dream of Water, Polite Lies). Mori grew up in Kobe and left Japan for the United States at age 20. 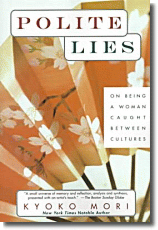 For Salon, she recommended some "books that illuminate the austere rigor of beauty that's the essence of Japanese culture." These works include The Pillow Book of Sei Shōnagon (circa 990) by a lady-in-waiting to the empress who recorded her impressions of court life in notebooks, and The Narrow Road to the Deep North and Other Travel Sketches, travel writings by the 17th century haiku master Basho. Mori also suggest Kazuo Ishiguro's novel, An Artist of the Floating World (1986), which is "set in an unnamed Japanese city in 1948, [and] explores the darker side of Japan's preoccupation with beauty and discipline." Yuko Tsushima was a year old in 1948 when her father, the famous novelist Osamu Dazai, committed double suicide with a bar waitress. 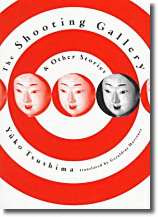 The seven stories in her 1 988 collection, The Shooting Gallery and Other Stories, feature single mothers, abandoned wives and middle-aged daughters of aging parents in contemporary Tokyo. The landscape is gritty and harsh--old houses are replaced by warrenlike concrete buildings, parks become dumping grounds for unwanted pets, and the beach is cold and full of trash. This collection reveals a segment of the population seldom seen in the news. But back to Kyoto, where the American poet Henri Cole, who spent the first two years of his life in Japan with his parents, returned alone in 2001. He is the perfect companion for any visitor who travels to this land of Zen and urban alienation in search of beauty and self-knowledge. His sonnets about Japan, collected in Middle Earth (2003), are as perfectly trimmed as the cherry trees my mother once admired: In them, restraint becomes freedom. The hydrangeas blooming in the rocky soil of a charity hospital offer "that atmosphere of pure/ unambiguous light burning inwardly,/ not in self-regard but in self-forgetting." Like Tsushima's characters, Cole is beset with insects that bring him insight: A praying mantis mocks his air of "romantic suffering" and forces him to be honest; a dead dragonfly placed in a rice bowl becomes a still-life composition of his essential loneliness. "I want a feeling of beauty/ to surround the plainest facts of my life," Cole declares in a poem titled "My Tea Ceremony." Sei Shōnagon and Basho (and my mother, too) would have agreed. It omits the big three of Japanese literature (Mishima, Tanizaki, and Kawabata), the only Nobel Prize recipient, Kenzaburo Oe, and the most popular Japanese writer today, Haruki Murakami.... Other authors who were omitted include Endo, Atagawa, Ryu Murakami, Banana Yoshimoto-just to mention a few. I'm not a very complicated person. I'm not someone who actually sits and analyzes something. If I pick up and book and I don't want to put it down ... that's good enough for me. Nora Roberts is amazing. She's so prolific but you can always count on her; she's very consistent. I like her writing style. I like Bob Crais. 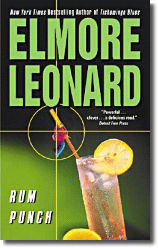 I like Elmore Leonard. I like Robert B. Parker. I love that [Parker] has such a clear sense of his moral code. He's such a wordsmith. His books are so clean--they're entirely linear. When I decided to move into crime fiction I used him as a model for my own Stephanie Plum series. Click here to read about Evanovich's comics and to learn about what she listens to and watches. Click here to go to Janet Evanovich's official home page. To reach the official site of her favorite television show, click here. The current issue of Rolling Stone, on newsstands until September 7th, features the novelist Jonathan Lethem's interview with Bob Dylan. Modern Times [Dylan's thirty-first studio album], like Love and Theft and Time Out of Mind before it, seems to survey a broken world through the prism of a heart that's worn and worldly, yet decidedly unbroken itself. "I been sitting down studying the art of love/I think it will fit me like a glove," he states in "Thunder on the Mountain," the opening song, a rollicking blues you've heard a million times before and yet which magically seems to announce yet another "new" Dylan. "I feel like my soul is beginning to expand," the song declares. "Look into my heart and you will sort of understand." What we do understand, if we're listening, is that we're three albums into a Dylan renaissance that's sounding more and more like a period to put beside any in his work. Dylan's cadences take on the quality of an impromptu recitation, replete with internal rhyme schemes, such that when I later transcribe this tape I'll find myself tempted to set the words on the page in the form of a lyric. "I knew this time it wouldn't be futile writing something I really love and thought dearly of, and then gettin' in the studio and having it be beaten up and whacked around and come out with some kind of incoherent thing which didn't have any resonance. With that, I was awake. I felt freed up to do just about anything I pleased." A sizable excerpt from the Rolling Stone article is available here. 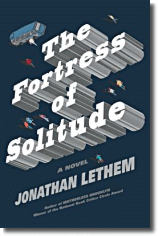 Jonathan Lethem is the author of five novels, including Gun, With Occasion Music, and Girl in Landscape. His novel Motherless Brooklyn, was named Novel of the Year by Esquire and won The National Book Critics Circle Award and the Salon Book Award. He is also the author of the story collection, The Wall of the Eye and the novella This Shape We're In. He edited The Vintage Book of Amnesia, guest-edited The Year's Best Music Writing 2002, and was the founding fiction editor of Fence Magazine. His writings have appeared in The New Yorker, Rolling Stone, McSweeney's, and many other periodicals. He lives in Brooklyn, New York. Thanks to Friend of the Blog "Cochise" for alerting me to the interview. 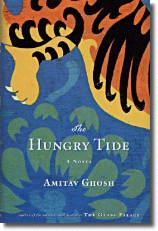 Amitav Ghosh's The Hungry Tide (Houghton Mifflin, 2005) has been touted as both a prophetic and poetic novel. Its description of the natural beauty as well as the perils of the Sundarbans--the tide countr y lying to the south of West Bengal and Bangladesh--is in many respects poetic. While it does not rival the quoted poetry from Rainer Maria Rilke's Duino Elegies which concludes many of the chapters, the book lends new meaning to the lines "Tiger, tiger, burning bright...." For indeed there are fearsome man-eating tigers prowling in the mangroves of the Sundarbans--a romantic, haunting trope that the author uses to bring the implicit debate between environmentalists and survivalists to a memorable climax. As for the prophesy the novel holds, what can we say other than that its publication predated the South Asian tsunami and hurricane Katrina by months? The image of flood water pouring across lowlands, people rowing to land in small boats, individuals perched on fragile roofs or in windswept trees, families returning soon after the storm to their broken homes intent on rebuilding, is one we are familiar with. As with his earlier works such as The Calcutta Chromosome, Ghosh's novel disseminates scientific information in a wholly palatable way. We are instructed in geography, climatology, and marine biology. We are taken through use of the GPS and so are not surprised when, at the end, the life of the heroine is saved thanks to her methodically having plotted way points allowing her to make her way back to the village. The GPS may have saved no poor people in Indonesia or the Ninth Ward in 2005, but it certainly pays dividends for cetologists like Piya, the American-raised Bengali woman--and for search-and-rescue teams tracking down overeager (or drunk) hunters gone missing in the U.S. every fall. Ghosh narrates contemporary stories well, then, despite a prose style that is more pedestrian than lyrical. He also is intent on offering commentary on politics and people. The Hungry Tide tells us about the 1979 massacre by government forces of refugees who had settled the village of Morichjhãpi. Having nowhere else to go, many East Bengalis at home in tide country attempted to remake their lives in India's Sundarbans. But invoking the need to protect forest and wildlife reserves, the government (ironically, a West Bengali Marxist one) harassed, threatened, and even killed these refugees. Anyone really wanting to know why people continue to make their homes in low-lying areas will find an eloquent answer in this novel. Put simply, it is because they feel less unwanted, less of a burden, there than anywhere else. Socio-economic class--and caste and race--are involved in policy making that every so often privileges nature at the expense of human beings. Ghosh elaborates: "Was it possible that in Morichjhãpi had been planted the seeds of what might become, if not a Dalit nation, then at least a safe haven, a place of true freedom for the country's most oppressed?" (p.159). That "natural" disasters usually have human agency is described in a typology that follows (pp. 168-171). Finally--and fittingly--to Ghosh's love story. It is a klutzy ménage-á-trois in-the-making among a noble illiterate savage (Fokir), his ambitious backwoods wife (Moyna), and the American outsider (Piya). To be sure, the many hours Fokir and Piya spend together on a small boat searching for river dolphins does not lead to a consummation of their emotionally wrought relationship. That is, unless consummation comes in the form of a dying Fokir breathing heavily down Piya's neck as they sit tied together by a sari to the trunk of a tree as the eye of the storm passes. Perhaps literature having ambitions at greatness inevitably seeks out such contrived resolutions. If that is so, let us leave the treatment of a triangular relationship such as Ghosh presents to the unpretentious soap operas, whose unresolved plots are more in keeping with real life. Ray Taras is professor of politics at Tulane and has directed its World Literature program for the past three years. Many thanks to Ray for the excellent review. I just read Philip Roth's book, Everyman. It's about a man my age whose body is deteriorating. Roth is such a fantastic writer; he breathes so much life into that story, I just thought it was wonderful. 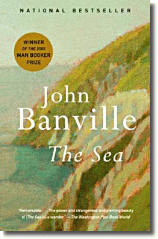 I read John Banville's The Sea. It won the Booker Prize. It's about a middle-aged man who returns to Ireland having just lost his wife. It's a memory piece. He tells the story of himself as a young man and as a middle-aged man, simultaneously. And bit by bit you realize that things happened to him as a young man that deeply affected him as an old man. Click here to read what Lithgow is listening to and watching. Click here to read a brief blog item on Everyman and here for an item linking to a John Banville interview. Floyd Abrams, who defended The New York Times in the Pentagon Papers case, is a partner in the law firm of Cahill Gordon & Reindel. His most recent book is Speaking Freely: Trials of the First Amendment. Read an excerpt from the "Introduction" here. 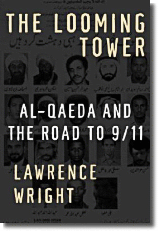 Read an excerpt from chapter one, "The Pentagon Papers Case," here. Abrams came up with a pretty interesting list of books for The Week magazine. 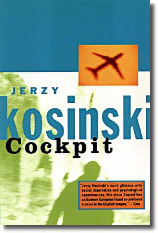 Cockpit’s protagonist, an ex-government agent, is one of the coldest, most self-sufficient, and terrifying characters in American fiction. Kosinski was underrated while he lived, often for disturbingly political reasons. This book, among others, illustrates his lasting relevance. One of the wisest and most elegantly written books about law, the Supreme Court, and American government—and all in fewer than 150 pages. Bickel’s analysis of the “adversary game” between press and government in which each plays its role in a continuing contest may be even more relevant today than when he wrote this volume in the early 1970s. Click here to read about Abrams' other choices. On Tuesday, Anthony Shadid appeared on "Fresh Air" to discuss recent developments in Lebanon. Back in May I asked Shadid if he could recommend a book about life in a Middle Eastern theocracy. Click here to see what he suggested. 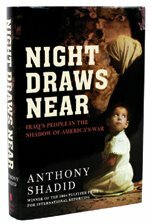 Anthony Shadid is a reporter for the Washington Post and the author of Night Draws Near: Iraq's People in the Shadow of America's War. He has reported from throughout the Middle East for a decade, first as Cairo correspondent for the Associated Press and then for the Boston Globe, where he drew attention for his reports from the West Bank and other fronts. His first book, Legacy of the Prophet, drew praise from the late Edward Said. For his work in Baghdad he has received the Overseas Press Club Award (his second), the Michael Kelly Award, and was given the 2004 Pulitzer Prize for International Reporting. Melanie Kirkpatrick, deputy editor of the Wall Street Journal's editorial page, named her five favorite novels of political intrigue for Opinion Journal. Robert Penn Warren was the nation's first poet laureate, and it's easy to understand why when lingering over the beautiful language in this lushly written novel. But it's also a rollicking good read. 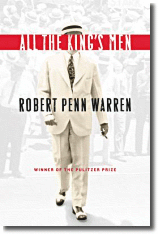 Based on the life of Huey "Kingfish" Long of Louisiana, "All the King's Men" is the rags-to-riches story of Willie Stark, a small-town Southern politician who starts out as an idealistic young man of the people and ends up corrupted by the system he had sought to reform. Seen from the perspective of our new century, it's also a window into daily life in the Old South--its prejudices, language, manners and mores. 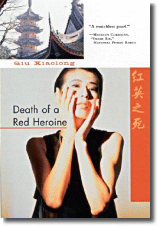 Set in 1990s Shanghai, "Death of a Red Heroine" is an intriguing detective yarn as well as a commentary on how the Communist Party remains the controlling force in most aspects of ordinary life in China. While this is changing--especially in Beijing and Shanghai, where the "work unit" is no longer regnant--Party members still have access to better jobs, better apartments and even, in some cases, better options in love. One thing that hasn't changed is the personal power wielded by China's top officials and their families. Mr. Qiu's inspector-poet risks all when his investigation takes him too close to one of China's untouchable princelings, the son of a high-ranking official in Beijing. Mr. Qiu can write so accurately about life in the new China because he was born and grew up there; he can write so candidly because he now lives in the U.S., where he teaches at Washington University in St. Louis. Click here to read about Kirkpatrick's other choices. Elsewhere on the blog: I argue that while it's not the best Louisiana novel, All the King's Men is The Great Louisiana Novel. Slate's Bryan Curtis compared the novel with one of his contenders for The Great Texas Novel: "Billy Lee Brammer's The Gay Place, which is a roman a clef about the author's years working for Lyndon Johnson. (If you like All the King's Men, you'll love this. It's much better-written.)" 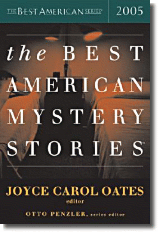 Otto Penzler, owner of the Mysterious Bookshop in Manhattan and the series editor of the annual Best American Mystery Stories, recently wrote an interesting column in the New York Sun. I wouldn't really know. I'm white, live in a white neighborhood, and work in the largely white profession of publishing. But I believe his characters, their dialogue, and their points of view. Years ago, I asked Elmore Leonard how he was able to replicate the speech of the low-life Hispanic, black, and white street thugs and drug dealers so perfectly. He responded, "How do you know I do? Do you know a lot of guys like that?" "No, of course not," I said. "Well," he said, "neither do I. I make it up." As I wrote in a post on The Wire and two of its writers, Pelecanos and Richard Price, it feels like these guys get it right. Still, you have to wonder. Price readily admitted that "clocker," the name for a certain kind of drug dealer from which his novel takes its name, was so obscure that his police friends didn't recognize it. So how would we know if it was really in use, had never caught on, or had long been retired? And I have my suspicions about the authenticity of the dealers' dialogue in The Wire. For example, when they want to know if they're understood, they ask, "You feel me?" Now, I hear white middle-class, middle-age guys use that phrase, only partly aware of how lame they sound, and that makes me suspect that the street dealers have moved on to another phrase. Then again, perhaps it's one of those rare bits of slang which is just so effective that it will endure for years--like, "cool"--and remain in use by gangbangers even though your grandmother says it, too. Jedediah Purdy grew up in West Virginia and attended Harvard College and Yale Law School. He has served as a fellow at the New America Foundation and the Berkman Center at Harvard Law School. He is the author of two books--For Common Things and Being America--neither of which I've read. I was interested in his response to the question, Who are your literary models? They are not so much guides to writing as models of temperament, people who had a clear grasp of the many faces of human nature, and how it interacts with politics. One is Czeslaw Mlosz, the Lithuanian-Polish poet and Nobel laureate, who wrote a great set of essays on intellectuals under the various spells of communisms, which is called The Captive Mind. George Orwell, for his lucidity and his ability to see the hazards of ideology in an intensely ideological time. Michel de Montaigne, because he saw so clearly the dangers of self-certainty and moral arrogance. Isaiah Berlin for his understanding that the human world is too complicated for any single resolution, and his ability to keep a clear moral vision despite that. Among recent books, I have particularly admired Michael Ignatieff’s biography of Berlin, and Mark Lilla’s collection on the attractions of tyranny to intellectuals, The Reckless Mind. The capsule biography of Purdy when he first came on the literary scene held that he thought there was too much irony in American public life. Perhaps that reputation is unfair, but Todd Pruzan couldn't resist making jest with Purdy's earnestness in McSweeney's. Click here to read "Jedediah in Love." 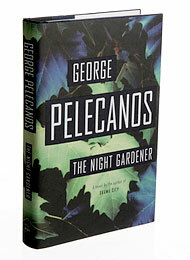 I had a weird, dislocating moment yesterday when I tucked back into George Pelecanos' new novel, The Night Gardener. Coincidentally, the night before I had watched a couple of episodes of Season 3 of The Wire, and there are some remarkable similarities between the series and the novel. For example, one of the secondary characters threading his way through Season 3 is Dennis "Cutty" Wise, just out after 14 years in prison. He's a hard man--or at least he was--and once back on the streets he tries to find his way in civilian life alternatively as muscle for a drug dealing organization and as casual labor cutting grass in the suburbs. Even he doesn't know which life he wants, what path he is capable of following, or how much latitude he has in deciding his own fate. Switch to Chapter 12 of The Night Gardener, which opens with Conrad Gaskins, ex-con, walking out the clinic where he's just submitted a urine sample, a condition of his parole. ("Cutty" has a similar scene.) His younger cousin Romeo Brock, who is brash and bold but without Gaskins' experience in jail, is intent on involving the older man in his criminal enterprises. Gaskins wants to stay straight and stick with his grass-cutting job--"He even liked the way his back ached at the end of an honest day's work. Like his back was reminding him did something straight." --but he also owes his aunt (Romeo's mother) who raised him, and so he feels he has to stick with Romeo to keep him from getting killed. Pelecanos' home ground is Washington D.C. and its surroundings; The Wire is set just up the highway in Baltimore. And the neighborhoods in both are much more alike than, say, Georgetown and the Inner Harbor are different. Actually, the biggest reason for the similarities I noticed is obvious: Pelecanos is a writer-producer for The Wire, so it's no mystery that both the show and his book use a lot of the same storytelling tactics (like street slang that it sometimes takes quite a while to puzzle out) and character types. But The Night Gardener, for all its charms (I'm not halfway through yet, so stay tuned for my final assessment), is not the novel I allude to in the title of this post. 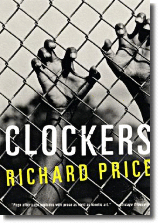 That book is Clockers (1992), by Richard Price. As it happens, Price is also a writer on The Wire. Clockers is about (imperfect) cops and drug dealers, competent and corrupt, devious and dumb as dirt. Set in fictional "Dempsey," a stand in for Jersey City, the novel follows jaded homicide detective Rocco Klein as he investigates a murder. Victor Dunham, a young hard-working family man confesses to the shooting, but Klein begins to suspect that Victor's brother, Strike, is the real killer. Strike is the real center of the novel, the criminal with enough of a conscience--or maybe it's just not enough ice in his veins--that he's developed a nasty ulcer which he nurses with Yoo-Hoo. The novel is rich with the kind of how-to detail--drug sales are physically handled by kids who don't risk serious jail time if arrested, smart cops know to tuck their neckties into their shirts before bending over a dead body--which The Wire and other cop shows now routinely get right, but that seemed really fresh when the novel came out. Click here to read an excerpt from Clockers. Janet Maslin wrote up a nice profile of Price and the work he did researching Clockers; click here to read it. "The world of work--so defining in most lives--is rather underrepresented in literary fiction. 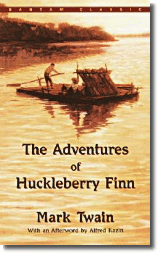 However, there are some honorable, and even brilliant, excursions." Or so claimed Atonement's author Ian McEwan back in 1999; click here to read about the five favorite novels about work--by Updike, Atwood, Michael Frayn, Frank Conroy, and Fred Hoyle--he shared with Salon. I'd also formed an ambition to write about work. I thought whoever my next central character will be, he's going to damn well have a job. Too many characters in literary fiction mope around and don't have any job. For very good reasons. Or, they're college professors, especially in America. This part of London I arrived in is very much a medical area. There are big hospitals here. So already I was beginning to think he'd be a neurosurgeon. For previous appearances here on the blog by McEwan, click here, here, here, and here. So much for work; are you more interested in slackers? Click here to read about Tom Lutz's Doing Nothing: A History of Loafers, Loungers, Slackers, and Bums in America. Is "Fight Club" philosophy masquerading as a thrill ride? I am a fan of Fight Club, a book I re-read only ten months after first picking it up because my eager anticipation for the film version needed a fix. The movie was a bit of a let down--I'm not sure what I expected--but it did several things brilliantly, and it got more interesting with the second and third viewings. So I thought I had a pretty good grasp on what was going on with the story. Then I read a paper on Fight Club by the political philosopher Eduardo Velásquez. His argument and insights blew me away and opened my eyes to elements of the story that I'd not noticed. The paper went on to win the critical admiration of the professor's academic peers. Ebert provides a commendable response to Fight Club: dismissal with a touch of ridicule. I am not of the opinion that art is without effects or consequences, though not all find their source in the artifact itself. But one may rightly wonder if Ebert provides a sufficient and adequate response. To begin, the tone and scope of Ebert’s review is likely to speak only to those who feel indignation and revulsion at all things “popular,” that is, to those not likely to see the movie in the first place. Second, for all the animadversions of the likes of Ebert, such indignation seems to have little effect on the growing popularity of Fight Club, discernible to anyone who spends but a few minutes on the Web. To suggest that Fight Club entices cultists is now true in a way even Ebert seems not to have anticipated. Discussion of this book and movie, and books and movies like them abound, and not just among the “demos.” An “academic conference” devoted to Palahniuk’s novels was organized at Edinboro University in April 2001. Sophisticates and cultists alike are intrigued by this book and movie, and not in a manner Ebert would find edifying. Fight Club’s brand of eroticized violence fits very well with various themes of “Liberation,” which among numerous “sophisticates” in the Academy for whom it is the sine qua non to “enlightenment.” To rebel against convention, or to deconstruct it, is to know. Indignation should not take the place of argument. More importantly, indignation alone will not get us to the hard, pressing, and vexing question, namely, What is it about Palahniuk’s novel and the Fincher/Uhls movie that resonates in the souls of so many? If indignation is the right response to the movie and book, our indignation ought to be informed by our understanding. The tremendous appeal of this movie and book is precisely in its capacity to go beyond the simple-minded characterizations critics such as Ebert ascribe to them. These are not stories about “boys being boys,” yet another episode in Hollywood’s misogynistic history. The protagonists in Fight Club are not reducible to a band of malcontents, whose depravity and remoteness from the “main stream” concerns us only to the extent that their message translates into acts of violence. Fight Club presents us with a host of themes and questions that resonate deeply with the ills of our time. Palahniuk goes further. Fight Club is a serious and very clever meditation on the human condition. A few examples will serve as introduction. The philosophic proponents of our liberal, enlightened modernity advanced a variety of teachings intended to tame the transcendent aspirations of the soul, or at least to make them compatible with wealth and the satisfaction of basic pleasures and needs, in short, what Hobbes called “commodious living.” This is not a “project” devoid of strong arguments in its favor, liberty chief among them. But, as Palahniuk himself shows, there are good reasons to question the objectives of the modern, liberal, commercial experiment. However, Palahniuk’s critique of (what several thinkers of the sixteenth and seventeenth century thinkers called) “commercial republicanism” is, in my estimation, something of a ruse. Commentators are mistaken to focus their attention there. The ills of commercial life are only one part of a massive genetic defect we as children of the “Western Tradition” inherit. This inheritance finds its source in the biblical God, “the Great and Powerful . . . God and father.” Palahniuk invites us to think about our origins, how we understand those origins, and, not least, whether our origins bear on who and what we are now. His book is a serious meditation on the problematic relationship between human freedom and the extent to which “history” and various other kinds of “inheritances” determine who we are. He demonstrates a sensitive awareness of the various kinds of thinking that seek to provide an answer to the question “What is human,” among them science, psychoanalysis, the Bible, and the combination of Eastern and Western religions and philosophies that now take shape within the peculiar amalgamation we call America. Palahniuk does not stop there. 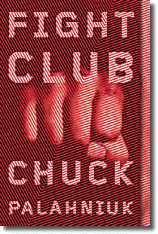 Less than ten pages into the book, the author of Fight Club extends his reflections to the problem of human attachment. The movement to attachment from “history” is not accidental. 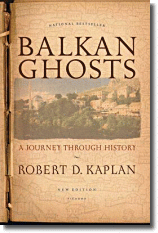 “History” is not merely about who we are, or how we are constituted. It sheds light on the influence that other human beings have upon us. How we are nurtured or “cultivated” has a decisive bearing on who we are, and, in turn, on our capacity to engage our fellow human beings. Readers are mistaken if they assume in advance that what we get from Palahniuk is some easygoing sentimentalism, or its opposite. As readers of Jean-Jacques Rousseau’s great invective against the Enlightenment (his Discourse on the Science and Arts or First Discourse) know, the commercial regime sanctioned by the Enlightenment is supposedly the source of the emasculation, reification, and alienation of “man.” Rousseau invites us to think seriously about the relationship between enlightenment and virtue, science and goodness, citizenship and martial virtue. His psychological portrait of modernity takes us to the problems of fragmentation, anger, love, and despair in the context of our devotion to wealth-getting. His writings invite us to think back to the classical authors who shared similar reservations, though on different terms. Commerce and sentiment are intimately linked. Rousseau’s invective stands in sharp contrast to the Enlighteners across the channel, Hobbes, John Locke, David Hume, and Adam Smith. The Scottish thinkers in particular argued that commercial life could be elevated, perhaps ennobled, by the proper cultivation and channeling of moral sensibility, a relationship that finds its most elaborate expression in Adam Smith’s two great works, The Wealth of Nations and The Theory of Moral Sentiments. 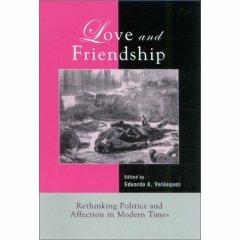 To put this differently, the proponents of our modern arrangements, institutions, and virtues argue that commerce is connected to, and may be the condition for the right kind of “civilization.” The possibility of “civilization” is intimately connected to the biblical God, or gods we worship, the means by which we are constituted as a “people,” the conclusions we draw about who we are, our “nature,” the hopes we share about our present and future happiness, the obligations we incur from our debts to the past. Palahniuk strikes me as a thinker of a sophistication and depth sufficient to engage his modern predecessors. He sees the intimate connections between God, nature, human nature, commerce, virtue, and civilization. He contemplates the relative merit and the inherent goodness of our modern inheritance. In rethinking the Christian God, Palahniuk shows Him to be “Beyond Good and Evil.” Ebert is correct to discern that Palahniuk is a nihilist. Unlike Ebert, however, I am persuaded there are many good reasons for us to engage the meaning of nihilism, especially of Palahniuk’s variety. Of special concern to us is the manner in which Palahniuk links nihilism to religion. He plays on religion’s call to “nothing,” that is, to a kind of death, for which there is a corresponding “rebirth” or “resurrection.” His apparent impiety comes to us in the shape of pious hopes and possibilities. We are therefore compelled to ask: Is Palahniuk’s work another iteration in the long history of nihilism that calls on us to the “eternal” recurrence of the same, a “history” without direction or end, a “history” without narcotic “Providence” or “Progress?” Do we shed pious illusions in order to embrace a dark god of chaotic urgings, whom we simultaneously acknowledge and conceal in various acts of self-creation, self-forgetting, and willful affirmation? Or does Palahniuk return us to a different kind of “nothing,” to a new Genesis, from which Light, Word, and Life emerge? Fight Club finds a way of appealing to our ever-present longings, to our basic sentiments, to our highest aspirations, earthly and transcendent. We must ask if Palahniuk’s efforts to stoke these fires provide the kind of light and heat we need, or whether our new pyrotechnics threaten to consume us. In an interview given to Spin magazine, Palahniuk claims to “hate books where people contemplate things.” More importantly, we are told, “I don’t write them.” Instead, so the story goes, “I write books where things are always happening to up the ante." Why does Palahniuk “hate” books that contemplate things, or, if you give me some license, why does Palahniuk hate philosophy? As students of political philosophy know, some strands of modern political theory try to collapse the distinction between theory and practice, to render theory in the service of action. 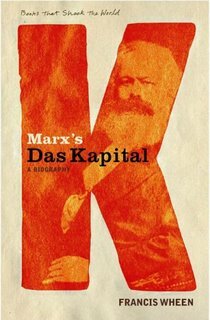 In Marx’s (in)famous phrase, the aim of philosophy is not to interpret the world but to change it. Wisdom is power. Philosophy is ideology. It could very well be that Palahniuk’s thought falls within the orbit of our modern distain for philosophy. We will only know that by mustering arguments that explain why this is so. Further reasons are needed to make an adequate judgment about the merits and demerits of this view. Is philosophy at an “end”? Why should we believe this? Is Palahniuk’s novel a plausible illustration of this “end”? Is his book an example of “creative work” that eclipses Logos? That Palahniuk hates books that “contemplate things” does not mean that his book does not lend itself to contemplation, or that his book is devoid of contemplation. Many intelligent men and women have put their good minds to the question of why a piece of literature, poetry, music, or film appeals to us immediately, why unadulterated “philosophy” (if there is such a thing) does not affect us as immediately. To recognize this may concede much to Palahniuk and the philosophers of late modernity who give primacy to the arational parts of the soul. “Man” may be decisively alogon. “Philosophy” may thus be an ineffective, even pernicious way of tapping into and trying to govern our primal and chaotic stirrings. Perhaps, then, we ought to yield to the ministering effects of music and stories. Let us make this concession, since it is animated by much truth. But let us also add that to “represent” the chaos that is around and within us is still to re-present it in some way, which is to say, to subject it to speech and thus to logos. Palahniuk’s novel is far from “non-sense.” It makes more than “sense” if seen in light of those enduring problems and questions Palahniuk engages, which precede him in the long history of religious and political thought. Again, by this I do not mean to assert the superiority of philosophy over Palahniuk’s poetic art. Art does indeed possess its unique power as art, and Palahniuk knows very well how to protect his art and its power over us. He is a master storyteller, who with the rarest talent, disguises his deepest and most disturbing insights. He knows that excessive contemplation is damaging to his art, and may even diminish its influence. But it we are to embrace or to reject it properly, we have to move beyond art. This is what I propose here. Ebert says that “‘Fight Club’ is a thrill ride masquerading as philosophy.” Without collapsing philosophy into poetry, or poetry into philosophy, I am tempted to suggest (with qualification and some exaggeration) that Fight Club is philosophy masquerading as a thrill ride. --adapted from, “‘Where the Wild Things Are’: Re-Creation, Fall, Re- and In-surrection in Chuck Palahniuk’s Fight Club,” in Love and Friendship: Rethinking Politics and Affection in Modern Times (Lanham, MD: Lexington Books, 2002), pp. 575-616, Eduardo Velásquez, contributing editor. Eduardo Velásquez, Associate Professor of Politics at Washington and Lee University, is the author of the forthcoming, A Student’s Guide to the Apocalypse. Many thanks to Eduardo for sharing his essay.